The Sleepbox Classic is the embodiment of our theology; simplicity and innovation, combined with practicality. The interior, spaciousness and incomparable quality of chosen materials used, only add to a comfortable and desirable experience. 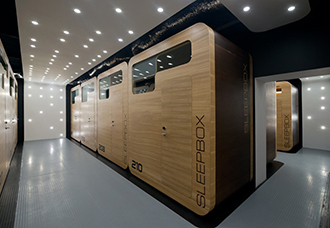 The sleek and stylish Sleepbox Classic gives a warm and unmistakable appearance through its use of LED lighting. The 4500 kelvin LED light temperature closely emulating daylight, whilst being vastly more efficient and eco-friendly than traditional lighting. With award winning architects as part of the team, each of the Sleepboxes has been designed to maximise efficiency, luxury and performance. 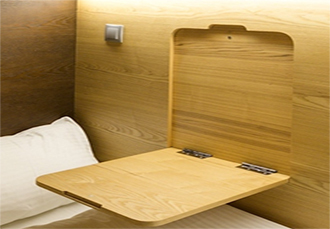 Features such as the Sleepbox ‘signature’ bed make staying in a Sleepbox such a pleasurable experience. Although the Sleepbox Classic Single comes as standard, special design options offered combines a bespoke blend of features, colours and finishes. 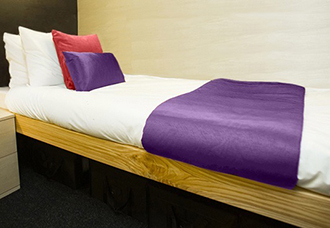 The Sleepbox Classic Single uses the same colour scheme throughout. The interior inlays of natural beech blend seamlessly with the darker contrasting finish. 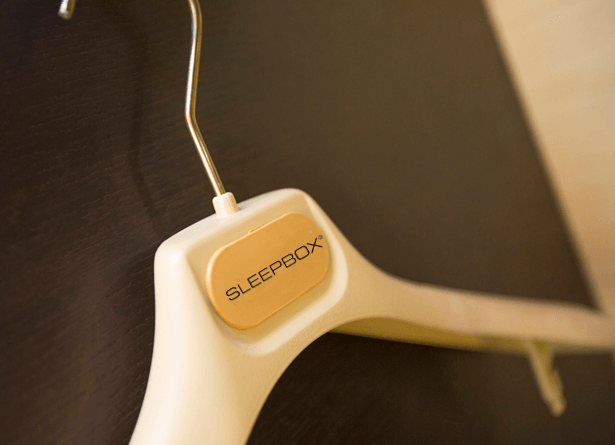 Whatever the task, Sleepbox can accommodate. The stylish, drop down table allows for easy comfort whilst working or using an electronic tablet or laptop device. The shelf and spacious deskstation provides an ideal solution to work at. 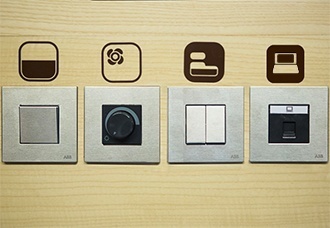 The conveniently located control panel is operated at the touch of a button. The integrated climate control system ensures the optimum temperature is maintained, whilst the privacy blinds transform the Sleepbox in the blink of any eye.